The Internet of Things (IOT) is taking shape. Idea and practice, applications and concepts, as well as discussion and writings are shooting out of the ground like mushrooms, great. A term old enough for most of too old to be around, the vision seems finally to grow into an actual practice. It is no only the line up presented earlier at the be2awards, the sort of pachube and TalesOfThings, but many more like ioBridge, the NabazTag or also IBM’s ‘Building a Smarter Planet’ project largely builds on networked things. NAi Publishers bring with ‘Check In / Check Out, the Public Space as an Internet of Things’ one of the first books on this topic in relation to the use of space. The authors Christian van ‘t Hof, Rinie van Est and Floortje Daemen clearly focus on the public real in urban areas in connection to this new technologies. This connection is quickly established with the authors describing the move from ‘on the net’ to ‘in the net’ via the gadgets increasingly used in public spaces and on public transport. On the other hand also the public space as such is wired up with CCTV cameras, RFID and NFC chips, pollution sensors, temperature sensors or weather stations. All linked to the net for remote sensing and data gathering for evaluation and decision making. The book itself is using tag to extend the content into the virtual dimension and link external content such as sound and video files to particular paragraphs in the book. For this the Microsoft Tag is used. A self acclaimed next generation of QR code. MS also offers tag readers for mobile patforms such as the iPhone and Android. Use this LINK from your mobile to download the corresponding tag. The first tag let you check in, to the book I presume, but for the content of the book you have to read on conventionally. In six chapters the publications discussed the most important fields IOT is increasingly active. Those are ‘Gated Stations’ on the rise of chip card in public transport, ‘Networked Cars’ on linking cars to establish intelligent traffic, ‘Money Mobiles’ on paying by phone, ‘Street Imges’ on CCTV and surveilance, ‘Geoweb’ on live mapping and ‘Living Maps’ on a scenario of total real time data streems. A lot of these systems are already quite established in the western world and people have started to accept their presence. We are using the chip card, Oyster Card in the case of London or Octopus Card in the case of Hong-Kong, on a daily base, being tracked forexample for the game Chromaroma. Paying using alternative methods, not cash, is widely established with changing technologies and tools, networked cars is something researchers and developers are already talking for quite a while, so it seems familiar even though it has not been realised to a large extend. Automobile industry is again painfully slow integrating innovations. And of course the Geoweb and to some extend the Living Maps are both practices we are in the middle of at the moment. The book offers a very clear structured approach to discussing these topics both overall and within each chapter. At times it is a facts book, at time an experience report and then a outsider perspective. However the structure is always clear and informative if at times with a few too little references. But hey, its early times and things are completely flowing. What is extremely appreciated, is the critical distance and the book establishes through out and within each chapter it self. It is not a selling text for the IOT, but a critical discussion raising concernes equally to praising benefit and potential. In this sense the final chapter the ‘Conclusion’, on identity management, makes these points once more very clear in a summary and outlines avenues for future practice whilst employing these emerging technologies. A must read for network-developers, and urban-computer-programmers, digital-interaction-designers, virtual-data-architects and sensorist-planners to keep up with the discussions. 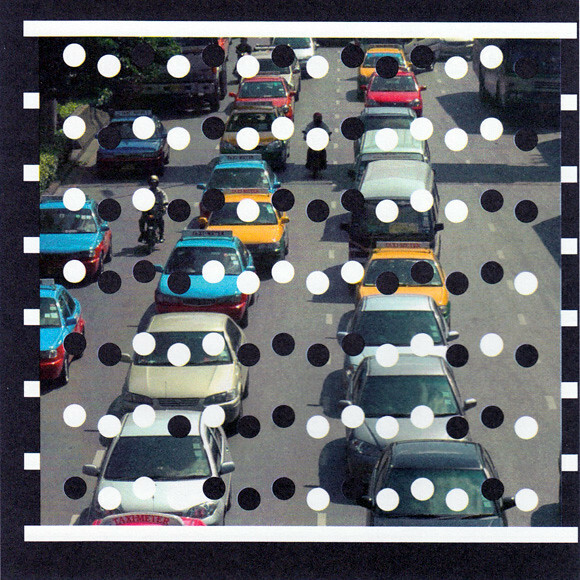 Image taken from the Mobile City / Check In / Check Out Book cover by NAi Publishers 2011. Hof, C.V.’., Daemen, F. & Est, R.V., 2011. 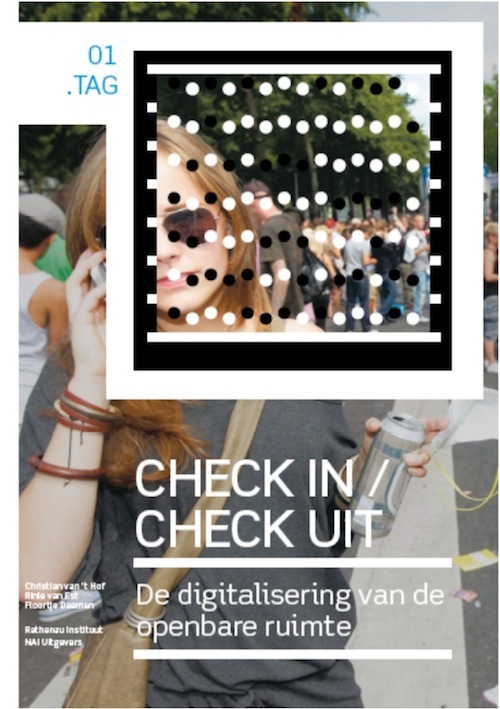 Check in / Check out – Public Space as an Internet of Things, Nai Uitgevers/Publishers.